If you haven't had a therapeutic massage before, or it's been a while since you've had one, below are some questions and answers which will help you understand what will happen before and after your session. If you have a question that's not answered below, please feel free to contact us. What is the massage room like? We have three private rooms, each with a massage table, adjustable lighting and heating. We've designed the rooms to be as relaxing as possible with neutral colours. We play a variety of music and you're welcome to bring your own iPod or MP3 player to plug into our iPod speaker system. For your first session, you will be asked to complete a confidential case history form prior to arriving. It's important that you take the time to read through and detail any past and present medical conditions, general physical activities and any areas you are currently experiencing pain and discomfort in. The form will also help to rule out any conditions that may make the massage unsafe and will also help to individually tailor your massage to suit your needs. For follow-up sessions it's important that you tell your therapist about any changes in your health since your last session including injuries, illnesses or pain. Why do you need to assess me? We assess you to narrow down the specific muscles that could be causing your pain, discomfort or restriction. Depending on what your current problem or condition is, we may take you through some tests to check the movement or strength of a particular limb eg your shoulder or your hip. We will also palpate the area - that means we'll examine the area with our hands, while you are clothed and only with your permission. This will help us assess the muscle tissue for tightness, scar tissue, trigger points or other areas of tenderness. Then we'll discuss the planned treatment and get your OK to continue. It may turn out that the problem is something we're not able to treat eg a joint problem, in which case we'll suggest you see someone more appropriate such as an osteopath, chriopractor or physio. What do I wear during massage? We'll leave the room to let you get undressed and onto the massage table. Usually you'll be asked to undress to your underwear, but if you're not comfortable removing that much clothing, please let us know and we'll adjust the treatment to suit. It's important that you're always comfortable. Lie on the table, either face up or face down (we'll tell you before we leave the room) and cover yourself up with the top sheet or towels. Your therapist will knock to make sure you're covered before they come back into the room. You will always be covered up, for both privacy and warmth, with the only area exposed being the area we're massaging - and that will never involve "private" areas. This depends on the treatment plan, but we will tell you what we are doing at each stage. If you want to talk, you're welcome to - if you'd rather just keep things quiet, close your eyes and "zone out" - go for it. We will still need to check in with your regarding pressure and if we need to get you change position and you do nod off to sleep, we'll wake you gently! Some treatments may require you to do some movement while we're massaging too, and we will let you know before we start. If at any time you are uncomfortable, please tell your therapist. Will it hurt me during the massage? Contrary to the belief "no pain, no gain" massage doesn't need to hurt to provide you with benefit. Relaxation massage shouldn't give you any discomfort at all, while some of the other techniques may cause you some discomfort. Some areas will be more sensitive than others as well, depending on what's happening with the muscle, so it's important that you give regular feedback to the therapist with regards to the pressure. We use a pressure scale which will be explained to you during your first session - use this scale to give feedback. What happens once the massage is finished? After your massage, the therapist will again leave the room to allow you to get off the table and get dressed. They may need to leave enough time at the end to take you through post-treatment testing, or advise you on some self-care stretches or strengthening exercises or self-treatment. There will be a glass of water provided for you to drink afterwards. Then it's time for you to pay and rebook! So how do I pay for the session? You've got options - you can pay by cash, or by EFTPOS. That will depend on the type of treatment you've received and how your muscles respond. For relaxation massage you should leave feeling relaxed - you may feel a little tired or you may feel quite invigorated. It may be related to how you were when you arrived. If you received a deeper treatment, you may feel a little tender in areas where more pressure has been used. This feeling will subside within a day or two and you should notice less pain and more freedom of movement. You may also feel a little headachy after a massage treatment, so it's important to keep up your hydration levels for a day or two after massage. Why have I been given exercises to do? An hour on the massage table is not going to undo years of muscle dysfunction. Massage therapy will start the process of treating your problem, usually by lengthening the muscle and reducing tension - you need to do your bit to keep it going. If you're given stretching exercises it's important that you do them, so the muscles maintain their new found length - essentially you're retraining your muscles to realise what "normal" should be. You may also be given strengthening exercises, or recommendations for modifications to how you sleep, sit or stand. Your massage therapist will always explain why they are suggesting them to you and how these will help you in the longer term. It's up to you to make the changes - its your body after all! The short answer - regularly. Your massage therapist will generally suggest a treatment plan that may cover 2-3 or even 5-6 sessions, depending on your current condition or problem. After that, we'd recommend that you come in for "maintenance" massage every 2-4 weeks. 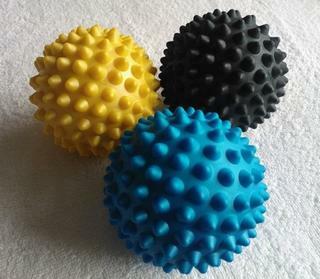 This will help keep your muscles in great condition and treat minor niggles before they become chronic pain. If you're a competitive sportsperson, you may opt for weekly sessions, working up to events to maintain optimum performance. Hopefully we've answered any of your questions and you're ready to book in for your session!